After struggling through three books in this series, I will admit to some trepidation about this one — thankfully, Carl Trueman is an author I have a bit of experience with, so I figured it’d be worth the effort. Thankfully, there wasn’t that much effort, and the book was absolutely worth the time. Trueman organizes this book differently than the others — in Part 1, he considers Sola Gratia in Scripture and Church History. Trueman surveys the idea of grace alone through both Testaments (it’s easier than some would lead you to think to find it in the Old Testament), looking at individual texts as well as themes throughout the books. I would have liked this to be a bit longer — but I really can’t complain about it. Following that, Trueman focuses on the teachings the Church throughout history about Grace — starting with the early church, focusing on Augustine and his Confessions as emblematic of the first centuries of the church. Then he continues to focus on Augustine, but shifts the focus to the controversies sparked by the Confessions with Pelagius and his followers as the prism through which the (Western) Church discusses and teaches Grace since those days. In the next chapter, Trueman focuses on Medieval theology about grace using Aquinas as the example. Following that we get chapters on Luther and Calvin (and those who’d be allied to Calvin’s branch of the Reformation), shaking off the accumulated tradition and misunderstandings to get back to the core of Scriptural and Augustininan teaching (with help from Aquinas). Would I have appreciated another chapter or two about post-Reformational history? Sure. But they weren’t necessary to fulfill Trueman’s aims, and we get a taste of what they’d offer in Part 2. Part 2 is title “Sola Gratia in the Church.” Grace is communicated to Christians via The Church, Preaching, Sacraments and Prayer and so Trueman a. defends that idea and then proceeds to discuss how God goes that in chapters devoted to each of those. For those of the Reformed tradition, there is nothing ground-breaking or controversial here, although Protestants from other traditions might find some of the ideas challenging. These are solid chapters of the kind of teaching I expected from this series, and I appreciated them. In the book’s Conclusion, Trueman attempts to address the questions: “What would a ‘grace alone’ church look like today? What would characterize its life as a church? How might we recognize such a church when we see it?” The answers to these questions are a mix of doctrinal and practical ideas that he lists in ten points showing the interconnections between them. This conclusion (in building on what came before) is worth at least half the price of the book — just fantastic stuff. I still have one to go in the series, so I may have to modify this, but this one is by far the best of the bunch — accessible, pastoral and thorough without sacrificing depth. Trueman doesn’t seem to get distracted by pet details, nor to just beat the same obvious deceased equines on this topic. 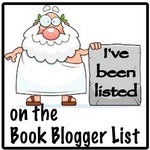 If you’re going to read just one of the five, let this be it. Alternatively, if the some of the others have left you wanting, give this one a shot, I think you’ll appreciate it. 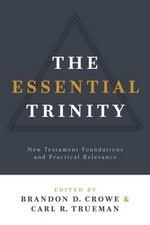 Pub Day Repost: The Essential Trinity by Brandon D. Crowe and Carl R. Trueman, eds. Slightly different Pub Day Repost than I usually do — I usually post something I read an advanced copy of, but this time it’s being published by a different publisher. Still, content is the same, just a new cover, etc. Hopefully, this helps it find a larger audience. 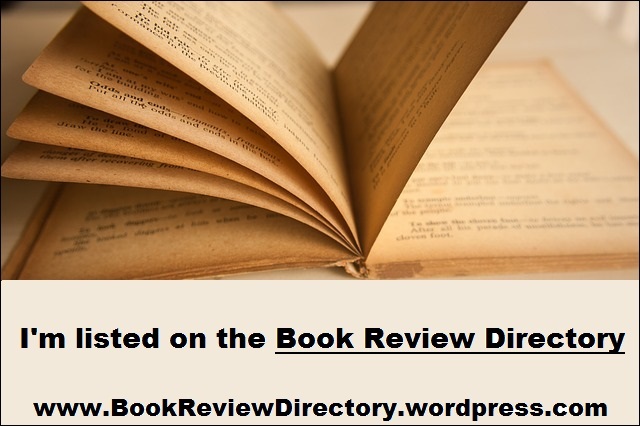 by Brandon D. Crowe and Carl R. Trueman, eds. In Part 1, the articles look at the “trinitarian contours of every corpus of the New Testament, along with a chapter reflecting on the Old Testament roots of trinitarian doctrine.” If there are weak chapters in the volume, they’re in this part — but they aren’t that weak, either. Crowe’s chapter on Matthew is excellent, but the chapters on the Mark, Luke-Acts and John aren’t far off that Mark. Brian S. Rosner’s chapter on “Paul and the Trinity” is worth the price of the book. The chapters on the rest of the epistles are very helpful (particularity Hebrews). Mark S. Gignilliat’s article, “The Trinity and the Old Testament: real presence or imposition?” is very helpful and insightful — and as an added bonus, it’s the most stylistically entertaining and engaging piece in the book. Benjamin Gladd’s chapter exploring Daniel’s influence on Revelation’s view of the Trinity is the biggest mental workout you’ll get in the book. I appreciated the material covered and the argument Gladd makes, but I’m going to have to read it a few more times before I think I have a good handle on it. Part 2 addresses the importance of the Trinity for everyday living — many would say the doctrine is impractical and only belongs in Statements of Faith and academia. The authors here show the fallacy of that. It begins with a brief, but excellent, description of the doctrine by Scott R. Swain. Carl Trueman has the next chapter, “The Trinity and prayer,” which is probably as valuable as Rosner’s — it’s actually about more than prayer, but the material specifically on prayer is great — hugely indebted to John Owen (but not uncritically so). Robert Letham’s chapter on “The Trinity and worship” also draws deeply from Owen; if he doesn’t move you to worship as you understand the work of the Trinity in it, you aren’t paying attention (I probably have more problems with some of what he says than anything else in the book). Michael Reeves, typically, made me chuckle in his chapter on preaching — but he did more than that, too. Timely, convicting, thoughtful and inspiring, this examination of the Trinity in Scripture and Life should be a great benefit to any believer ho reads it. It may not be the easiest thing read all year (but really, it’s not that difficult), but it’ll be one of the most rewarding. 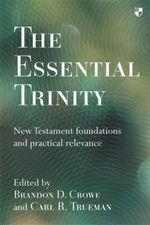 The Essential Trinity by Brandon D. Crowe and Carl R. Trueman, eds.